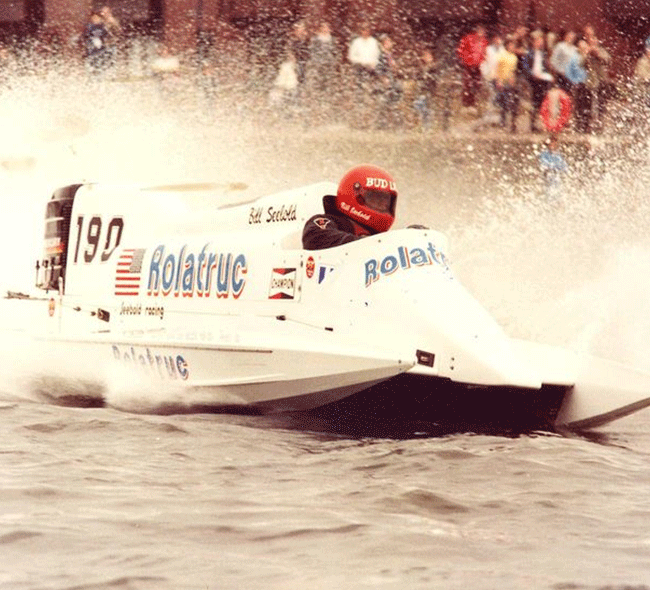 After 46 years of winning just about every race and championship in the sport, Bill Seebold finally stepped out of the cockpit in 1997. 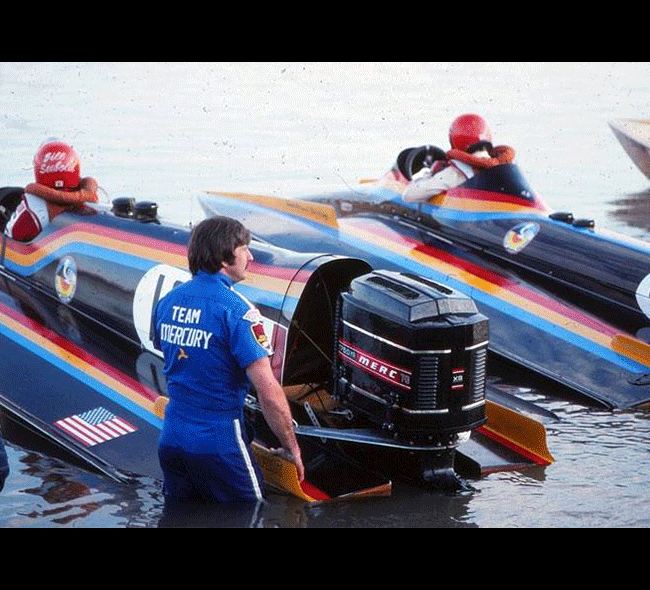 But he hasn’t stepped away from the water. 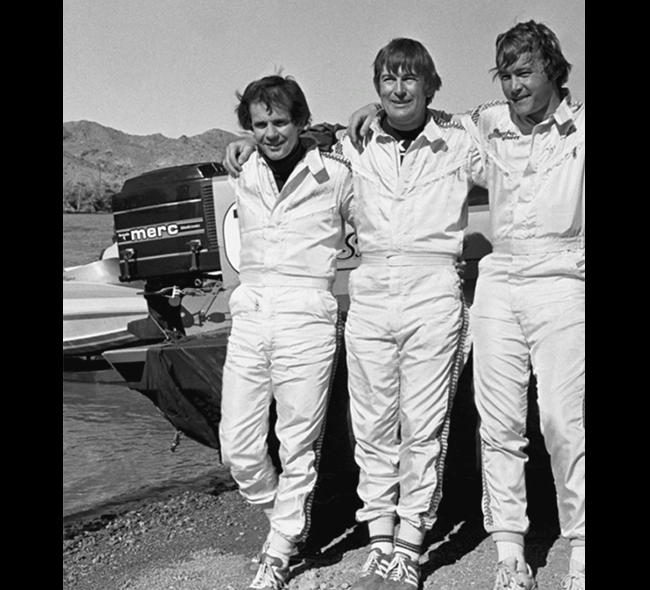 Bill’s 2009 racing season was capped by a visit to Abu Dhabi to become one of the first two inductees into the international Hall of Fame for Formula One boat racing. 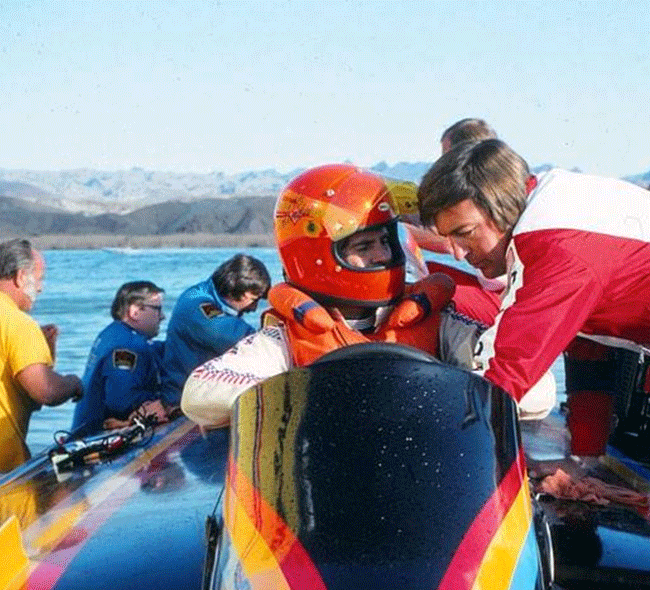 Bill and Italian racing legend Renato Molinari were scheduled to take a lap of honor on December 4 before the final UIM F1 race of the season to mark the first 50 years of tunnel-boat racing. 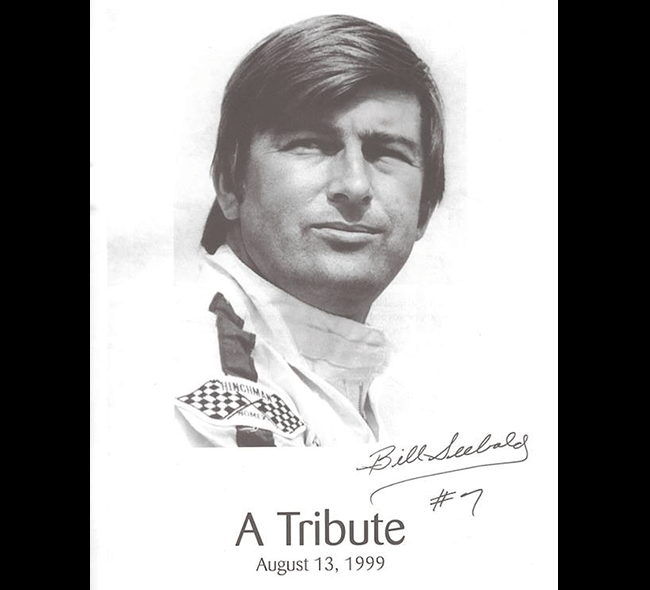 Bill began his racing career as an 11-year-old from the working-class town of Granite City, Ill. He won his very first boat race. 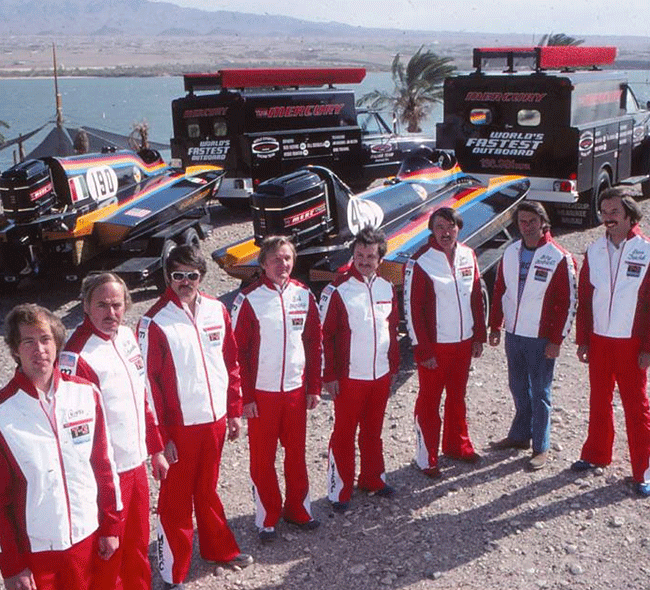 He wrapped up his spectacular career by winning the 1997 PROP Tour Formula One championship at age 57. 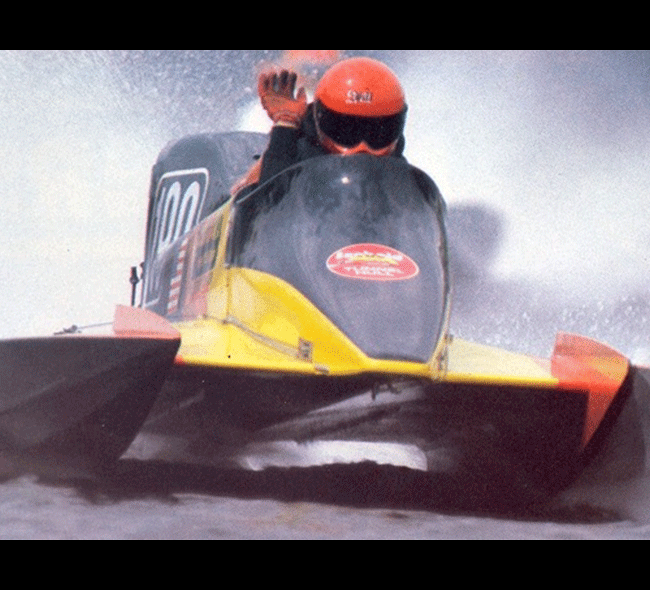 His career record includes 69 world and national championships and more than 900 race victories. 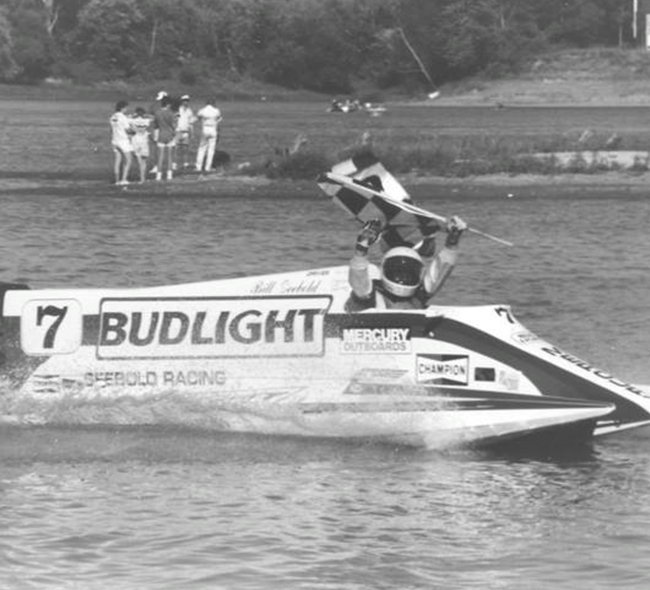 He was a seven-time winner of the Bud Light St. Louis Grand Prix, a race often referred to as the “Indy 500” of boat racing. 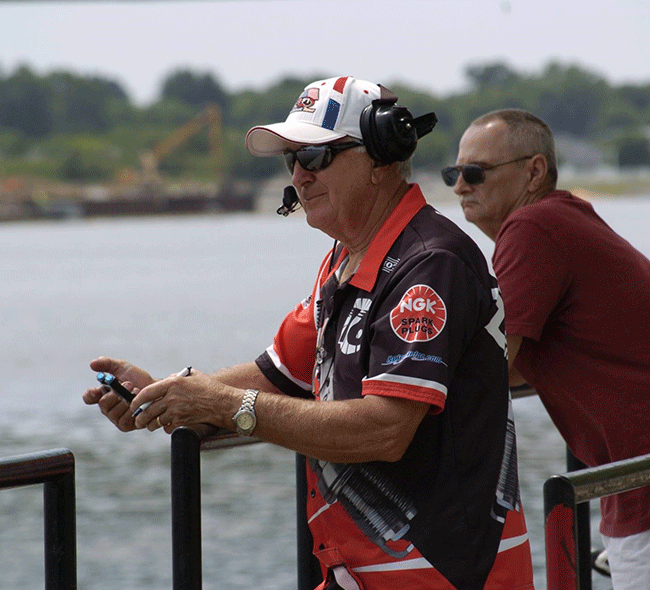 Bill Seebold, now team manager, was inducted by the Motorsports Hall of Fame of America in Detroit, Mich., in 1999, the Missouri Sports Hall of Fame in 2004 and the St. Louis Sports Hall of Fame in 2012. There were many highlights during Bill’s career. 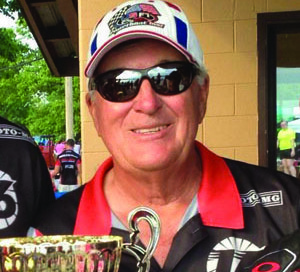 He won six national championships on one day in Alexandria, La. 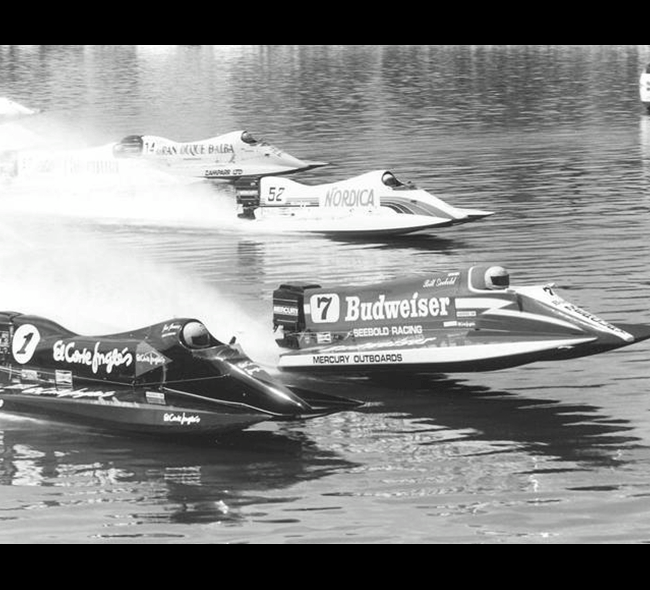 On one weekend in Bristol, England, in 1982 his two-liter Mercury engine left a fleet of four-liter V-8s in its wake. 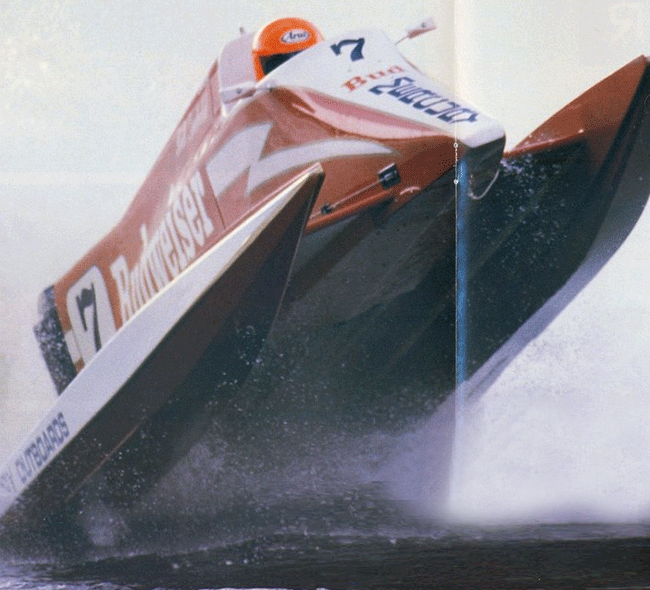 In the 1979 world championships at Milan, Italy, Bill raced a single-engine boat with a 3.5-liter Mercury against a twin-engine boat with a pair of three-liter OMC engines. Bill won. 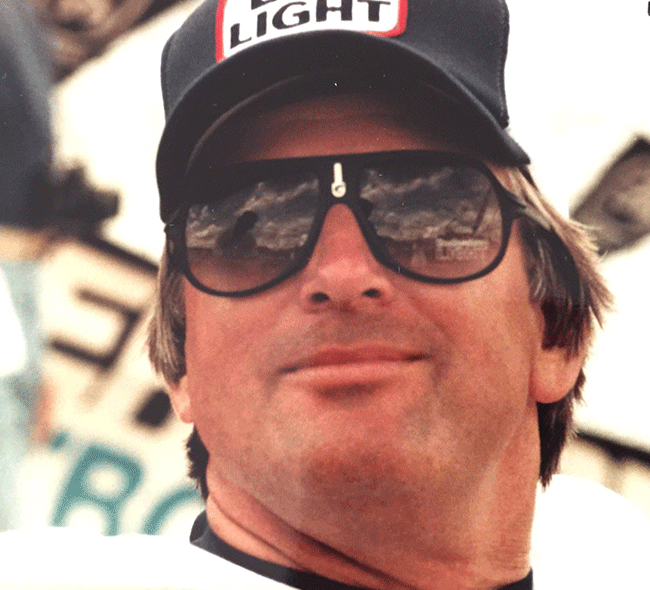 He won the prestigious Duke of York Trophy in England six times and received the Union of International Motor boating’s Medal of Honor in 1992. 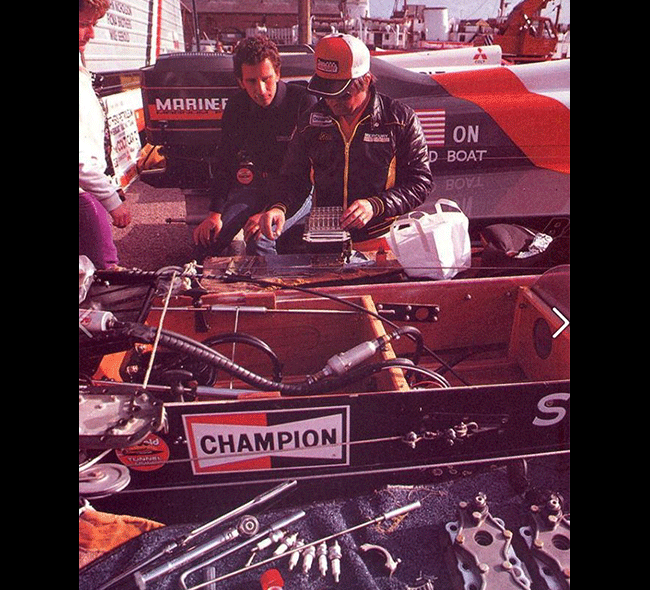 He was inducted into the Gulf Marine Hall of Fame when he was only 25.